Certain physical characteristics, such as eye color and blood type, are genetically determined, as are perfect pitch and the ability to recall musical notes from memory. But the relative influence that nature versus nurture plays in the development of human traits is a debate that goes back to ancient Greece and has continued to the present. The seventeenth-century philosopher John Locke argued that at birth the human mind was a tabula rasa—a blank slate, lacking in mental content—and that traits, such as personality, social and emotional behavior, and intelligence, were acquired from environmental influences. Our modern understanding of “nature versus nurture” was popularized by Francis Galton in 1874, who argued that intelligence was largely inherited and advocated eugenics to improve the genetic stock of the human population. Prior to attempting to determine whether a middle ground exists between these dichotomous positions, we might consider our contemporary understanding of nature and nurture. “Nature” refers to the influence of our genetic makeup and most greatly affects our physical characteristics. “Nurture” was previously limited to environmental influences but is now redefined to also include the influence of prenatal, parental, extended family and peers, and socio-economic status. If the environment did not play a role in determining individual traits and behaviors, identical twins, even when reared apart, should be the same in all respects—but this is not the case. A spirited debate currently rages as to whether sexual orientation is inherited or a learned behavior. A genetic link exists for many common disorders—diabetes, heart disease, cancers, alcoholism, schizophrenia, and bipolar disorder—and their occurrence can be positively or negatively affected by such influences as diet, exercise, and smoking. Epigenetics is the study of the intersection of these two influences: how environmental inputs affect the expression of genes. A primary goal of the Human Genome Project is to identify those genes associated with diseases and determine what environmental factors might contribute to their occurrence. SEE ALSO: Mendelian Inheritance (1866), Eugenics (1883), Genetics Rediscovered (1900), Blood Types (1901), Inborn Errors of Metabolism (1923), Human Genome Project (2003), Epigenetics (2012). The relative influence of genetic factors versus nongenetic and environmental factors on the development of human traits continues to be the subject of debate. 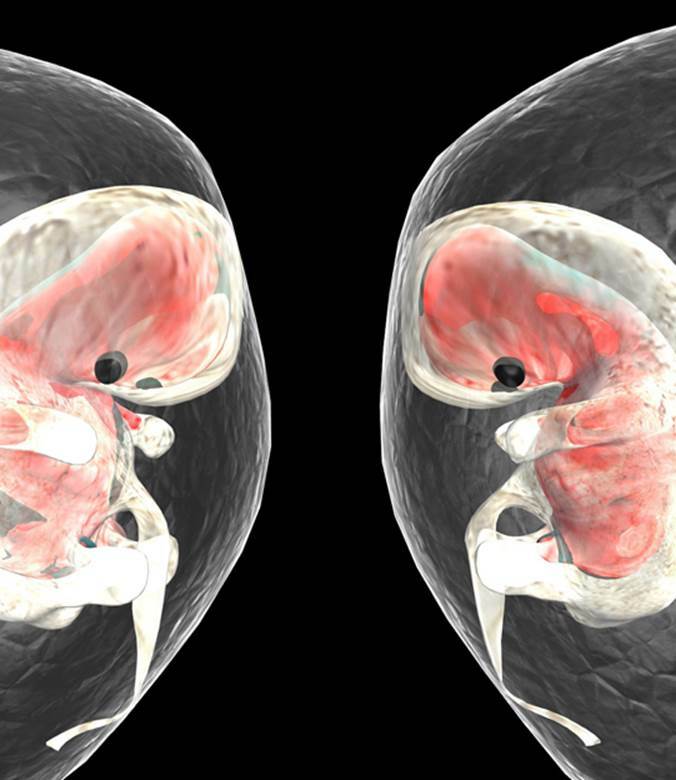 Studies of twins—especially monozygotic twins who have identical genetic material but have been reared apart—shed light on the link between heredity and various outcomes, with differing outcomes suggesting the influence of environmental factors and the lifestyle pursued by each twin.